Situated to the north of Hampstead Heath, Highgate N6, as its name suggests, is built on a steep hill offering outstanding views over London. This popular residential area boasts an attractive village atmosphere with many quaint shops, lively cafes and restaurants. To the north of the Heath is Hampstead Garden Suburb, designed by Ebenezer Howard in the Victorian. The area hosts the famous Bishops Avenue aka 'Millionaires Row', a broad thoroughfare featuring a mixture of expensive homes valued at £1million+. Highgate village, the area's most exclusive and well-preserved centre, has lots of quaint villagey shops and restaurants and some lovely Georgian homes. Hampstead Lane, which runs west along the borders of Hampstead Heath, has some fine detached period homes which have been lovingly kept as single family residences. South of Highgate High Street and west of Highgate Cemetery (Karl Marx's resting place) is the highly sought Holly Lodge Estate, a cluster of tudor-style homes. 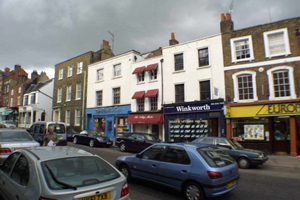 The area is also home to many converted period residences and attractive modern developments. Highgate has lots of pavement cafes, bars, restaurants and shops and easy access to the open spaces of Hampstead Heath where Kenwood's renowned classical concerts are performed throughout the summer months in a charming lakeside setting. From Highgate the Northern Line Tube comes straight into central London giving direct access to the City.